The doctors at DeMille MacKay Dental offer a variety of cosmetic dentistry treatments at our West Valley City, UT, and North Salt Lake, UT, practice. Achieving a beautiful, brilliant smile can help boost your confidence and even improve your oral health. Whether you want to straighten a misaligned bite or brighten a smile dulled by staining, Drs. Chris DeMille, Parker DeMille and David C. MacKay can help you achieve your goals. Porcelain veneers can completely transform the appearance of the front teeth by closing gaps, permanently whitening, and reshaping. Drs. DeMille and MacKay offer same-day veneers, so you will not have to wear temporaries or wait for a lab to create your restorations. Your doctor will design your new smile using a wax model, then overlay pictures on your image with CEREC® software, so you can see the potential results before the procedure even begins. In addition, our doctors use minimal preparation techniques to remove as little natural enamel as possible, in some cases just .03mm. We offer in-office and take-home teeth whitening solutions, so you can choose the system that will best suit your goals and lifestyle. With our in-office procedure, the Sinsational Smiles treatment uses an ultraviolet (UV) light to whiten teeth in just 20 minutes. This technique is ideal for patients who have sensitive teeth. The at-home option consists of prescription-strength gel and yields results similar to the in-office procedure. We can make custom, reusable trays or provide disposable trays. Using Opalescence® whitening gel, the home system takes about an hour a day, over seven to 14 days. 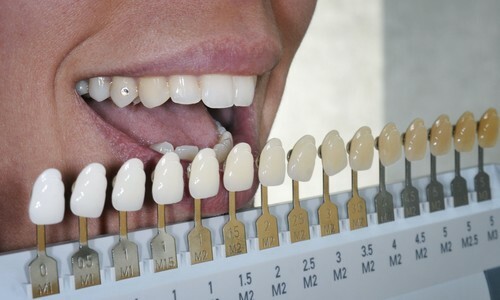 Many patients opt to undergo whitening while they are waiting on a CEREC® restoration, for an overall brighter smile. Also known as dental bonding, anterior fillings use custom-shaded composite resin to enhance the front teeth. The material is precisely matched to the shade of your natural tooth enamel. Once the tooth or teeth have been prepared, Dr. DeMille or Dr. MacKay will apply the resin, shape it to a beautiful, natural-looking appearance, and polish it. Bonding can be used to close spaces between teeth, reshape worn or short teeth, or fill in chips or breaks. If you have excessive or disproportionate gum tissue, your front teeth may appear short, worn down, or juvenile. 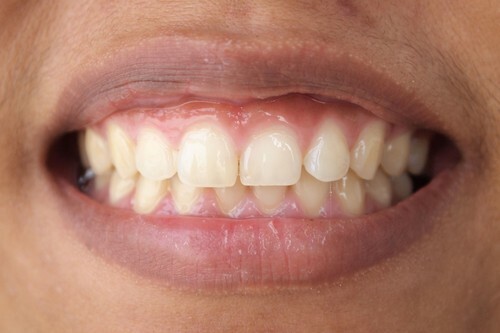 In some patients, the gum line is not even, so the front teeth do not look uniform. To correct overgrown gum tissue or straighten an uneven gum line, we utilize a CO2 laser. The gum contouring procedure is precise, fast, and requires no stitches. Our laser seals soft tissue as it removes excess. Most patients experience little or no bleeding and a very short recovery period. Until now, our adult and teen patients with crooked or gapped teeth only had the option of wearing metal braces, which meant many failed to receive treatment. For a more discreet option, we often suggest the NeoCrystal™ Sapphire Ceramic Bracket System. 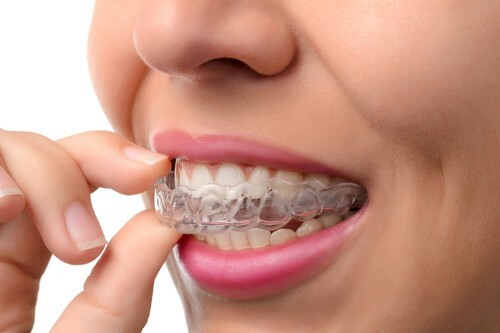 These clear brackets are nearly undetectable, so patients enjoy a more natural appearance than with traditional orthodontics. Treatment with the NeoCrystal™ Sapphire Bracket System is virtually identical to traditional orthodontic therapy, including the use of a wire and gentle forces to reposition the teeth. Another option for adult and teen orthodontic patients is ClearCorrect. This system utilizes a series of clear acrylic, custom-made aligners to gentle move teeth over the course of treatment, which can take one to two years, depending on the case. You can enjoy the freedom of removing your aligners to brush and floss your teeth, or when eating a meal. As long as you wear the aligners for about 22 hours per day, you will remain on target with your treatment plan. ClearCorrect is extremely comfortable during use, and the aligners are virtually invisible, so you will feel confident sharing your smile with others. A smile makeover involves two or more cosmetic dental procedures, with the goal of dramatically improving the patient's appearance. At your consultation, you and your doctor will determine which procedures will best meet your unique needs. You can choose from whitening, bonding, porcelain crowns or veneers, orthodontics or ClearCorrect, gum contouring, or other procedures. Our CEREC® technology means we can often incorporate same-day restorations, and we also create mockups before procedures begin. This allows patients to see before and after photos of their smile makeover, so they can make informed treatment decisions. Achieving a smile you are proud of can greatly enhance your quality of life, and help you regain the confidence that may have been missing prior to treatment. If you would like to learn more about our cosmetic treatments and discuss whether you are a good candidate, please contact us today. We have two convenient locations, in North Salt Lake and West Valley City, to meet your needs.